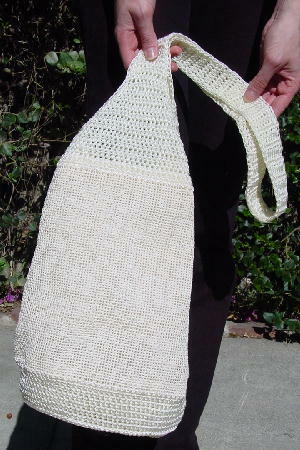 This woven and crocheted tote is in antique white and bone with a hint of apricot. 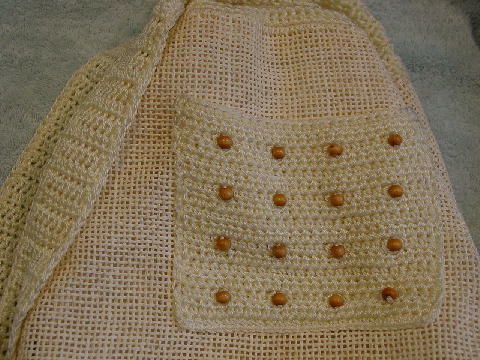 It has a 41" by 1 1/2" handle and an open front pocket with 16 little wooden decorative beads. 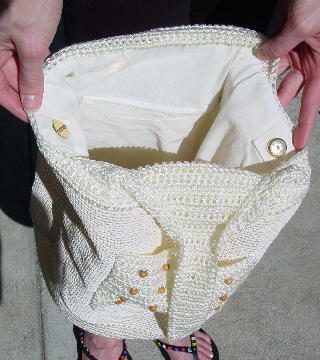 There is an offwhite fabric (looks and feels like a cotton blend) lining with a side zippered pocket. 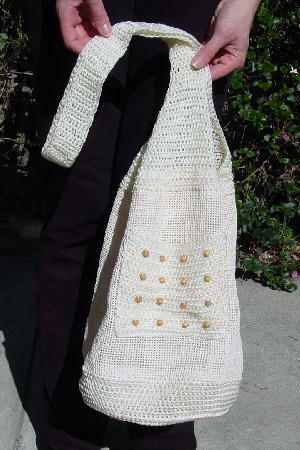 It has a gold-tone side top snap closure. She bought it on Ocean Drive in Miami's South Beach specifically to carry her portfolio in, but the bag is too small for that.